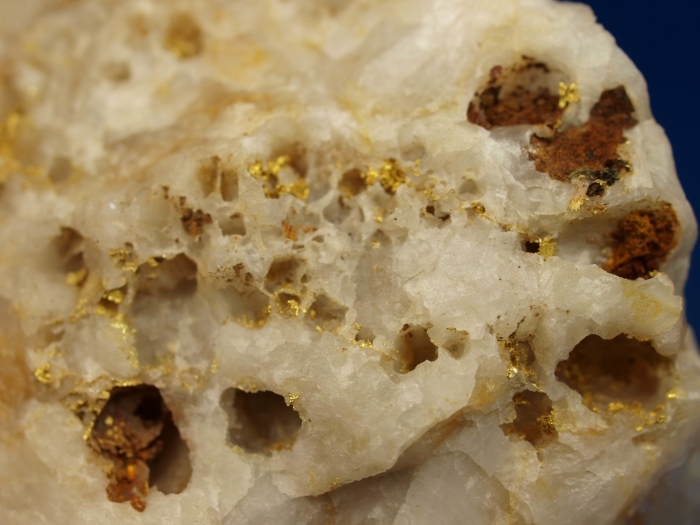 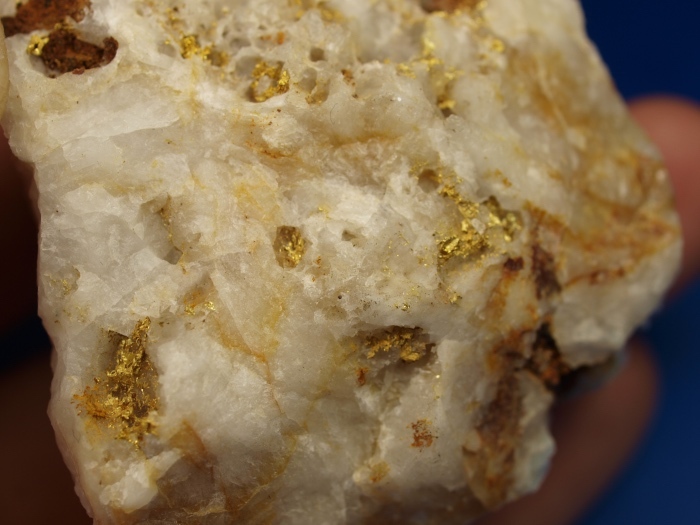 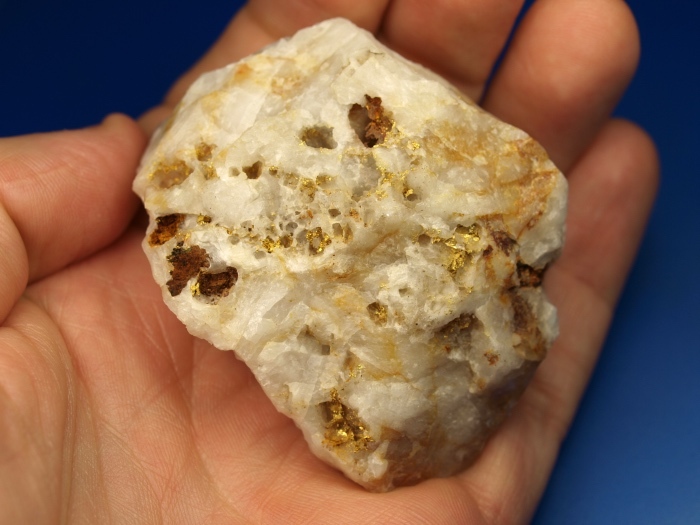 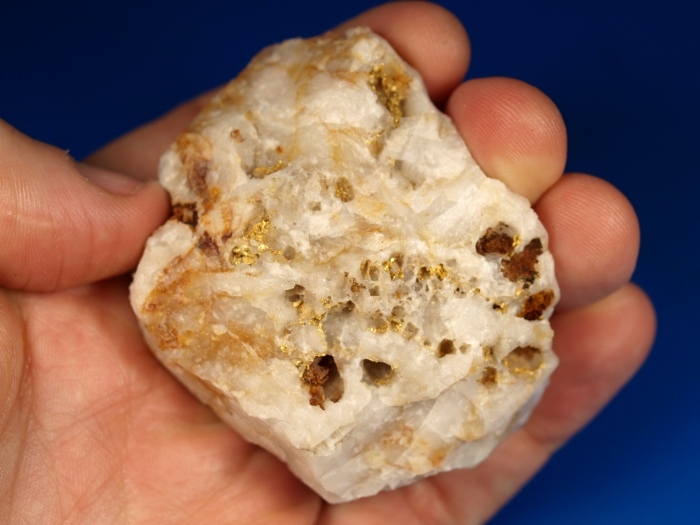 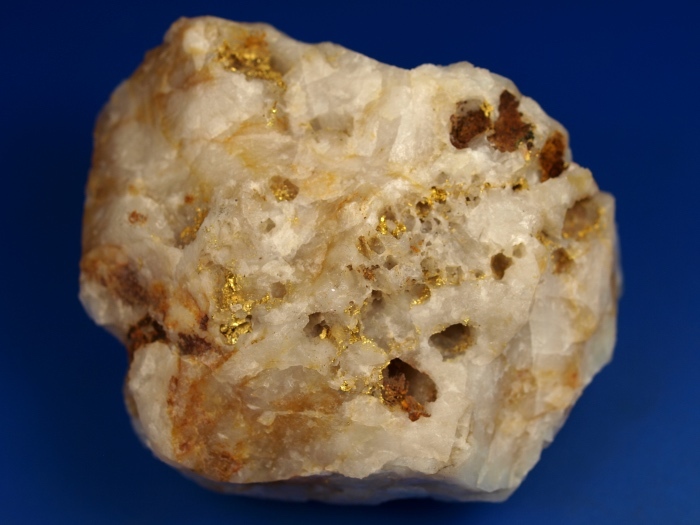 Here is a spectacular specimen of native gold in quartz from a rare location and an old collection. 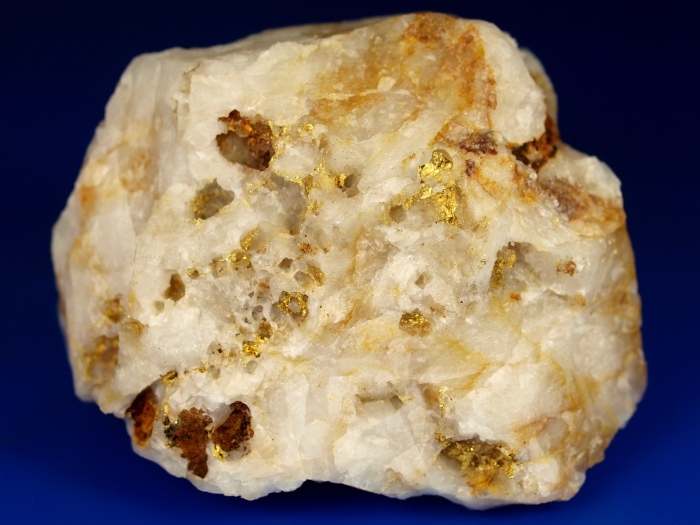 It comes from the Conrad Hill Mine in Davidson County, North Carolina. 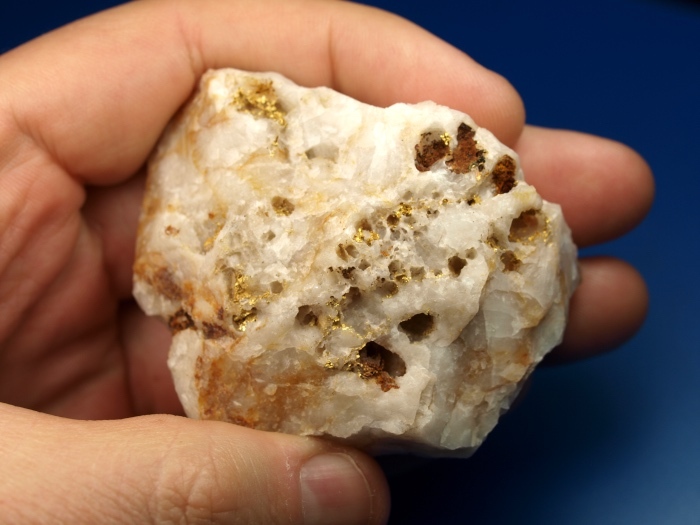 Although North Carolina was a very gold-rich state and the site of the first documented gold discovery in the USA, I see very few nuggets or specimens from this area. 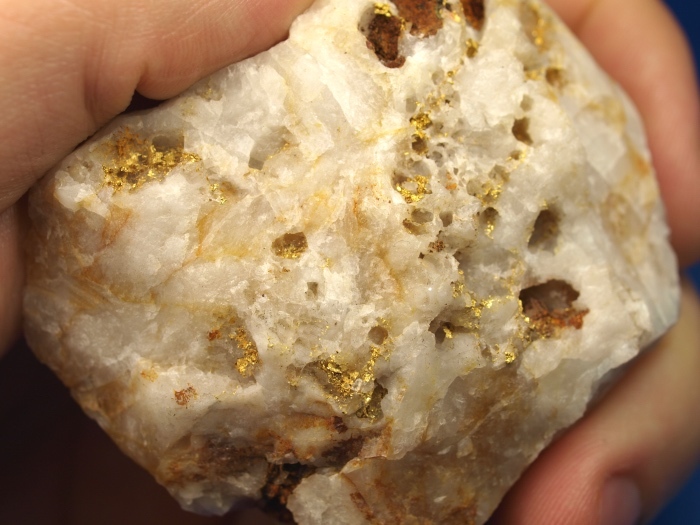 And certainly not pieces of this size. 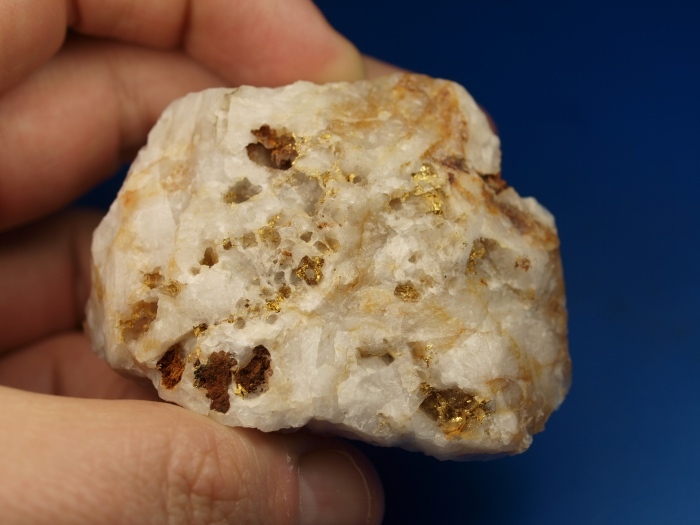 Total weight is 125.75 grams (~4.04 troy oz). 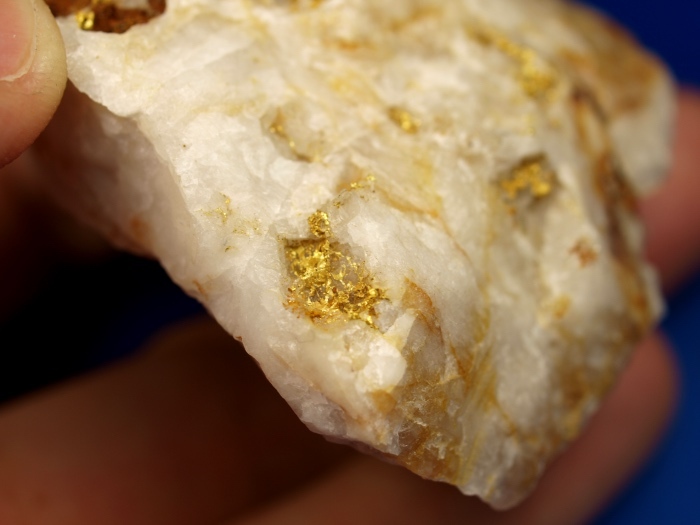 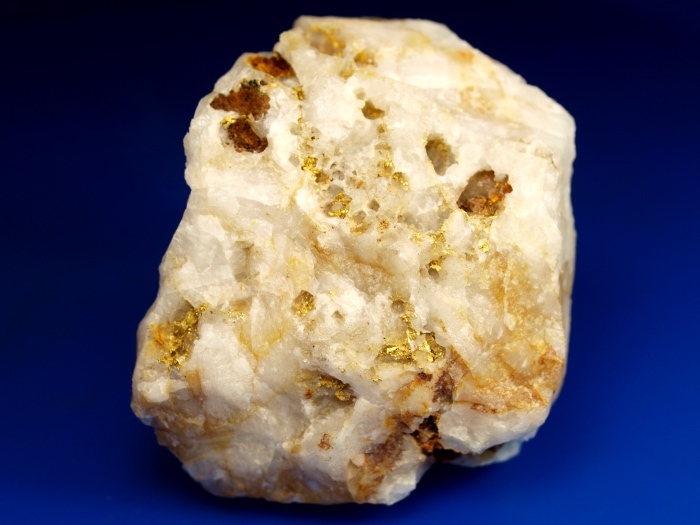 The gold is present in a nice crystalline form across one side of the piece spanning nearly two inches. 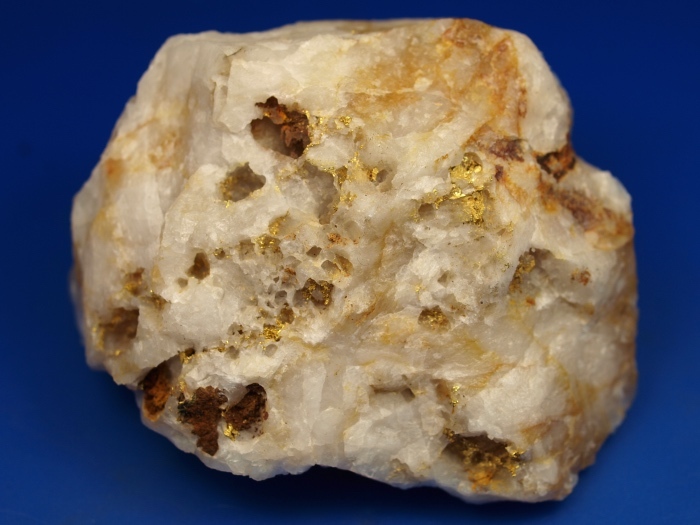 Don't miss out on this nice "paperweight specimen." 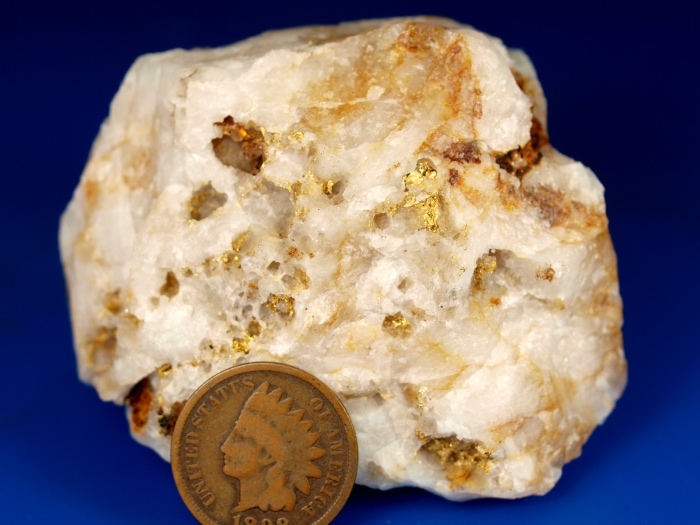 I don't often get pieces this size so don't miss this chance.